A fairly derivative shooter that's fun in small doses. I know what you're thinking. "Another day, another terrible movie-licensed game", right? 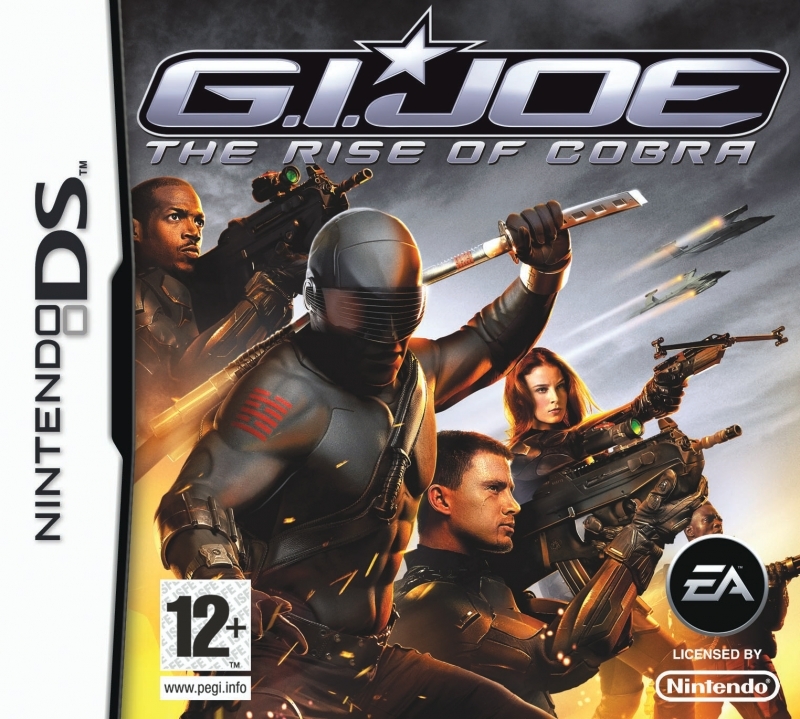 Well, yes, but GI Joe: The Rise of Cobra on the Nintendo DS takes a different route to most licensed games, in that it's more 'inspired by' the movie it's based on, rather than a wholesale copy of it. If you can look past some fairly big qualms, you may find that it's an enjoyable handheld top-down shooting experience. Not that the story matters in a game like this, but fans may be interested simply because of how different it is to the movie's plot. As the game opens, Heavy Duty is guarding a captured Baroness, who unlike in the movie has not switched sides. Suddenly, tons of enemies teleport in and, despite the Joes' resistance, manage to recapture her. The driving force behind the game has the Joes following a steady path of clues as to who's behind the teleportation technology (somehow, they've not heard of COBRA at the start) and finding a way to stop it before real damage can be done. There is also a bonus mission unlocked at the end where you play as COBRA. At the beginning of each mission, you'll select your Joe, picking from Duke or Scarlett to start with, while Snake Eyes, Ripcord, Heavy Duty, and Shipwreck, and a few others are unlockable (yes, there are some Joes here that weren't in the movie). From here, the game basically plays like a GI Joe-themed version of Gauntlet. From a top-down perspective, you run on a linear path toward your objective, gunning down enemies with the B button, melee attacking with X, using a special attack with Y, and rolling with A. Most of the time, enemies will continue to respawn until you destroy their nearby generator. Standing beside certain objects will also cause you to take cover behind them, but this is essentially useless as you're typically getting fired on from all sides. Heavy Duty may want put some distance between himself and the enemy if he wants his chaingun to be effective. Each character plays fairly differently, as you'd expect, so some will be better-suited to certain types of combat. Heavy Duty's chain gun is well suited to taking out foes at a distance, but its long wind-up and reload times mean he's not optimal when the foes get in close. On the flip side, Snake Eyes' sword makes him ideal for close-range kamikazes, but he's ineffective at range thanks to only having a pistol. Thankfully, you can switch characters when you die and continue from the same spot, so there's some leeway if you've picked someone who's not very helpful for the current situation. Each character also gets experience points for every kill they get, and every new level (cap being 4) unlocks a new costume for them and upgrades their weapons' strength and their ability to soak up damage. This system pretty much made me stick with two characters for most of the game (Heavy Duty and Ripcord), as they were soon so much stronger than the others that there wasn't much point using anyone else. It's worth noting that it's technically possible to stand at the very first enemy spawner in the game and continuously kill the weak enemies to max out your character right from the off. The only other noteworthy aspects of the gameplay are the occasional vehicle-based sections, where you'll operate such classic 'Joe' tanks as the MOBAT and HISS Tank. There is some form of local multiplayer mode as well, but I didn't get to test this as it's multi-card only and I had just one copy of the game. According to the instruction manual, up to four players can play in three GI JOE vs COBRA multiplayer modes. Team Battle is just what it sounds like, with each kill getting you a point and the team with the most points at the end winning. Warhead has the teams battling over escorting a Warhead to the other side's base and detonating it. Lastly, Defend the Base has both sides attempting to destroy one another's bases. Good luck finding anyone to try these modes out with, though, as our numbers only have the game at approximately 20,000 sold. Visually, the game is quite a mixed bag. 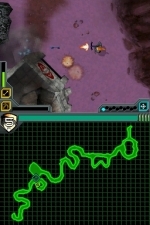 The 3D environments aren't terrible for a DS game, and there are often fifteen to twenty enemies on-screen with only the occasional framerate dip. Artistically, though, the game is a mess. There's almost no variation to your enemies, as most are easily remembered as 'the red guy' or 'the purple guy'. The Joes' in-game sprites look awful, too, like EA paid some random guy online to make them with Flash. Ripcord, for example has a brown circle for his head, a black circle for his hair, three light brown circles for each arm, and a blue line for his gun. Snake Eyes and Storm Shadow almost look like re-colors of the same sprite. The sound effects seem like they came from a Flash game, too. The straw that really broke the camel's back? 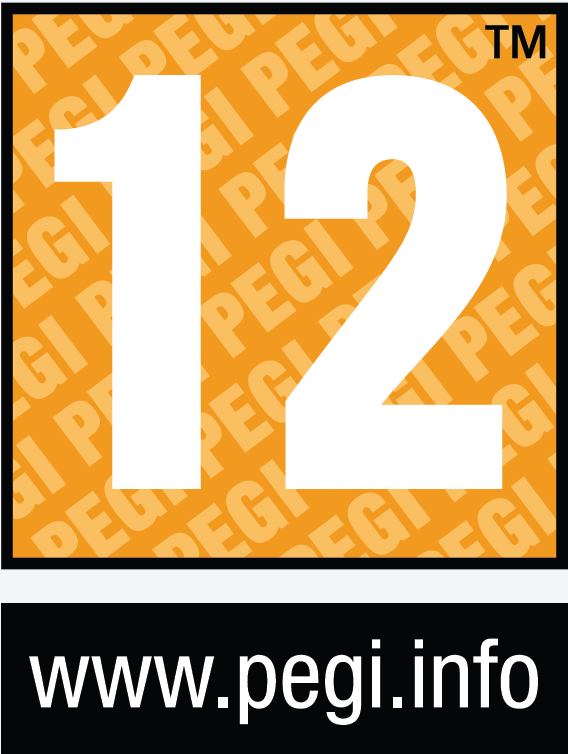 8-10 second loading times between levels. Yeah, on a DS game. Yep, that's really what the characters look like. Missions, on average, take around 20-40 minutes to complete. With 21 missions in total (though some only consist of a boss fight), the game took me between 8 and 9 hours. Add another four to five if you want to get all characters to the highest level, and probably another two if you have access to the multiplayer options. GI Joe: The Rise of Cobra for DS really seems to be at odds with itself. 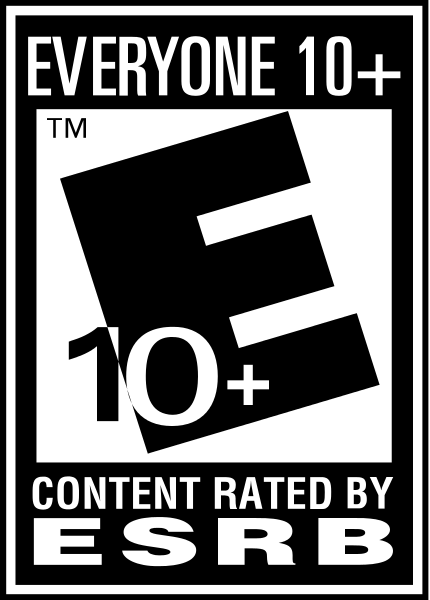 It tries to be a fun, pick-up-and-play shooter, but contradicts itself by having long loading times, a rarity for cartridge-based games. It tries to be a graphical showpiece in some areas, like the environments, but the characters themselves almost seem like an afterthought. Overall, this lies somewhere between 'great game' and 'quick movie cash-in'. If you're a G.I. Joe fan looking for some fast-paced handheld action, G.I. Joe DS is definitely worth a rental, and maybe even a purchase if you can find it for $20 or less. Yo, Joe!